Preheat oven at 425 F. Begin to fry the bacon strips until they become crisp. Add the mushrooms and saute together until soft. In a zip lock bag combine the chicken and flour and toss it about until fully coated. Add butter to the pan and transfer the chicken stirring until the chicken begins to color. Next, pour in the chicken stock and Marsala stirring until it forms a thick sauce (about 5 minutes). 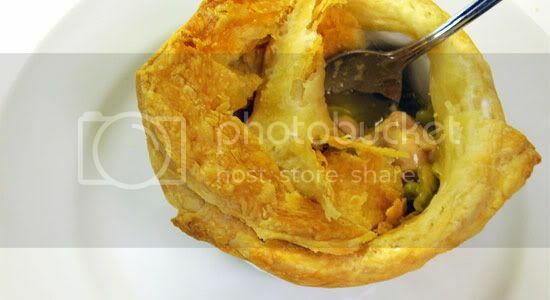 To make the pastry rim, simply cut 1/2 inch pastry strips and curl around the top of the ramekins/pots. Dampen the edges first to make them stick. Hand cut circles to use as a tops (the circle should be slightly bigger than the perimeter of the ramekin). Divide the mixture into the 4 ramekins. 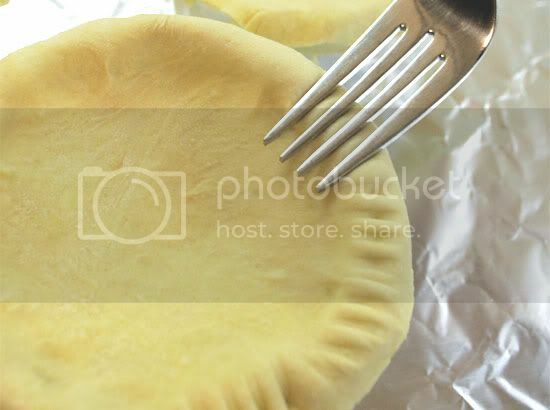 Seal the edges with your fingers or the prongs of the fork as shown on the picture above. Cook for 20 minutes until they puff up into a beautiful golden color. Bon Appétit and Happy Mother’s Day! 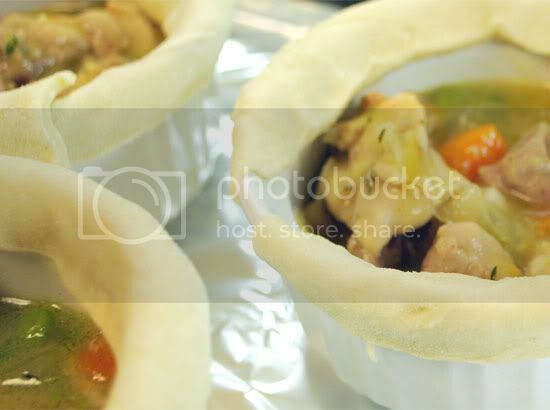 The post Friday Recipe :: Individual Chicken Pot Pies appeared first on Le Papier Blog.